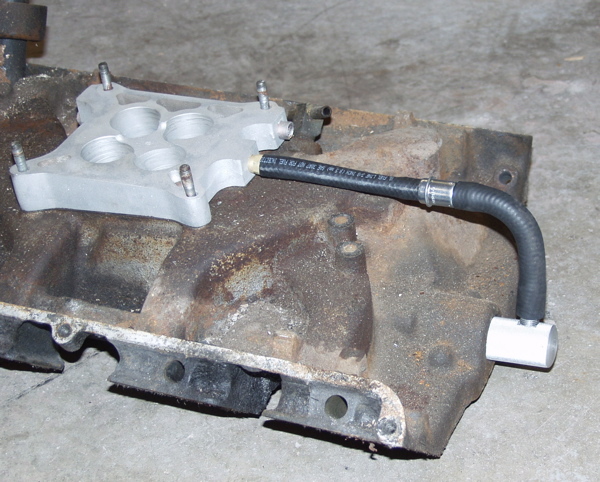 The adapter pictured below will press into the back of your intake manifold where the road draft tube originally was located. 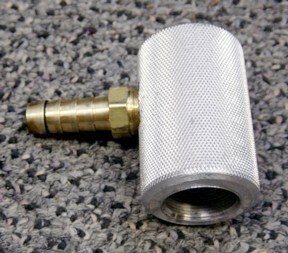 The adapter comes with the hose and PCV valve. 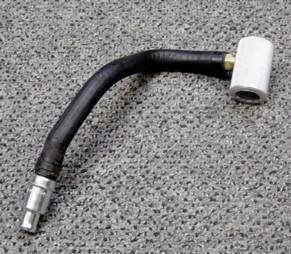 The hose may vary in looks as this was a used one from another engine that I used to prototype this idea. 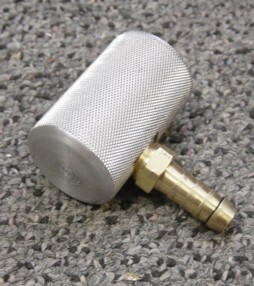 You have to connect the valve to a good manifold vacuum source on your engine with a suitable fitting and hose. You can even drill a hole and install a fitting just for this if you like. Just do not get any filings down in the engine.